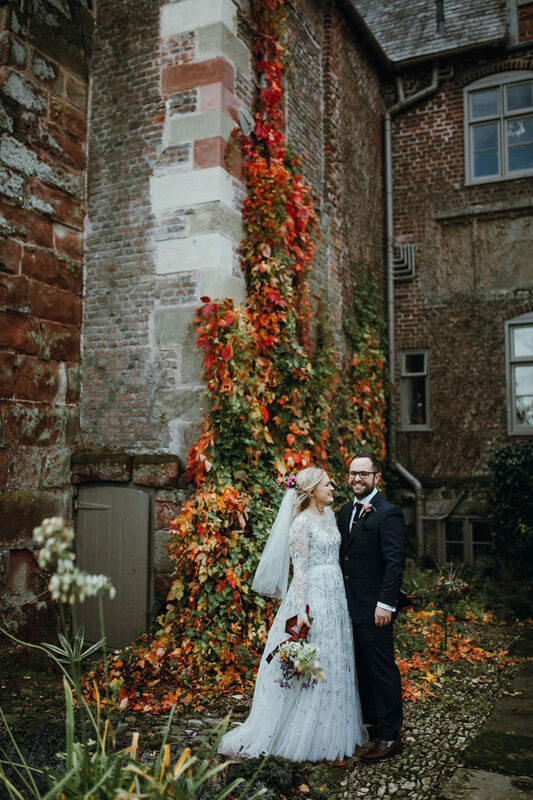 Today’s wedding is a cacophony of deep and rich autumnal colors. Love bold shades, Mexican vibes and want some inspiration? Let’s dip in! 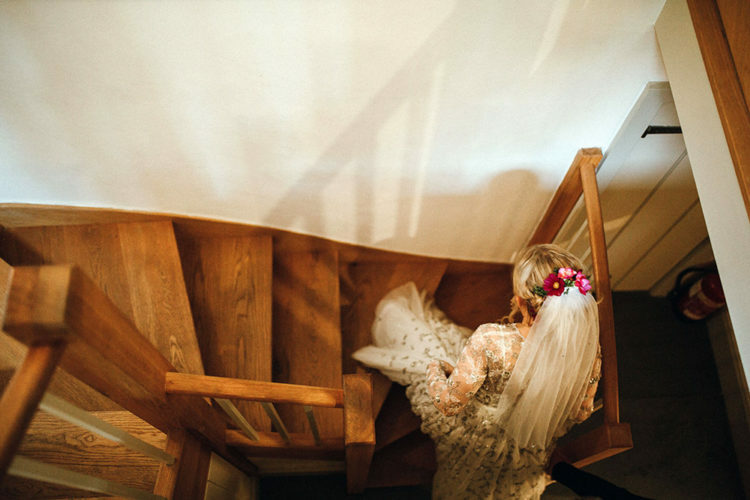 Inspiration for the styling was heralded from the bride’s mom finding colorful paper fans in M&S. 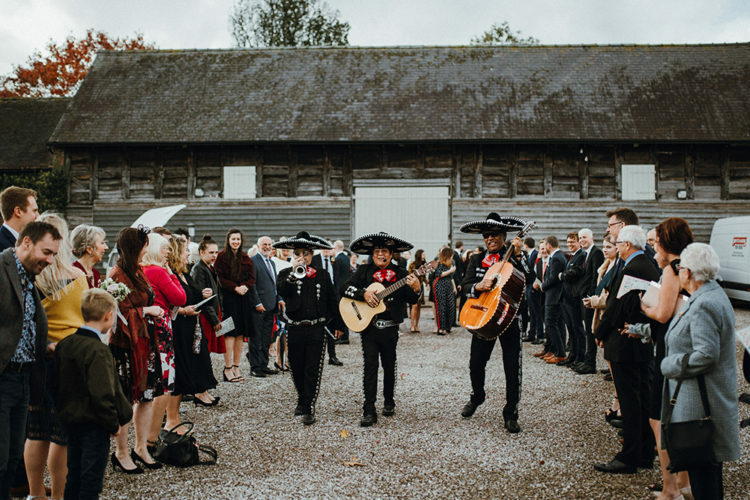 This prompted the couple to move away from the ‘traditional’ wedding tones to looking at a combination of strong autumn shades with big and bold Mexicana colors. 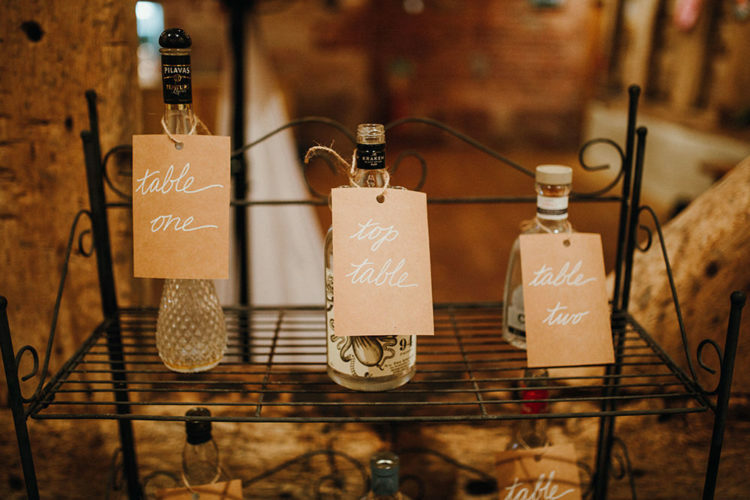 What are the coolest points of the wedding? 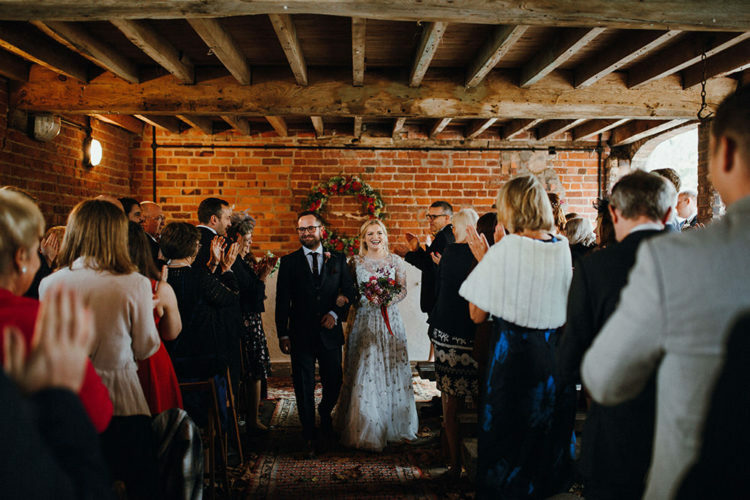 The aisle, made from Persian rugs and leaves, has to be one of the best wedding walkways I’ve ever seen, whilst the open side of the barn creates an amazing indoor-outdoor feel. 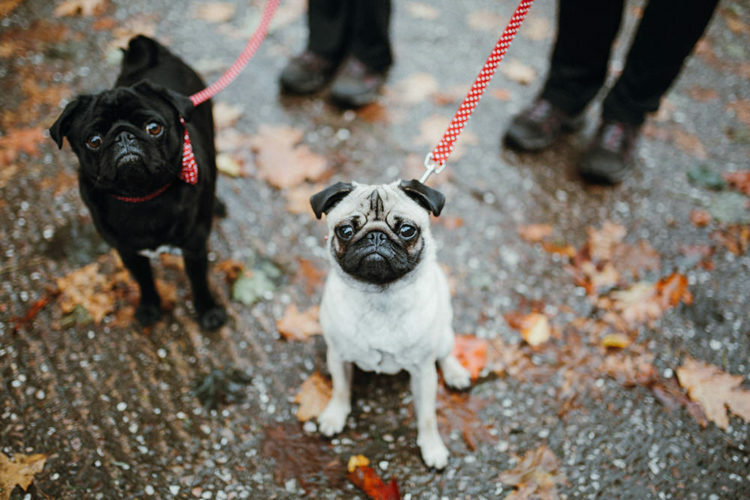 Throw into the mix vegetarian street food and a surprise mariachi band – oh, and a couple of pugs! 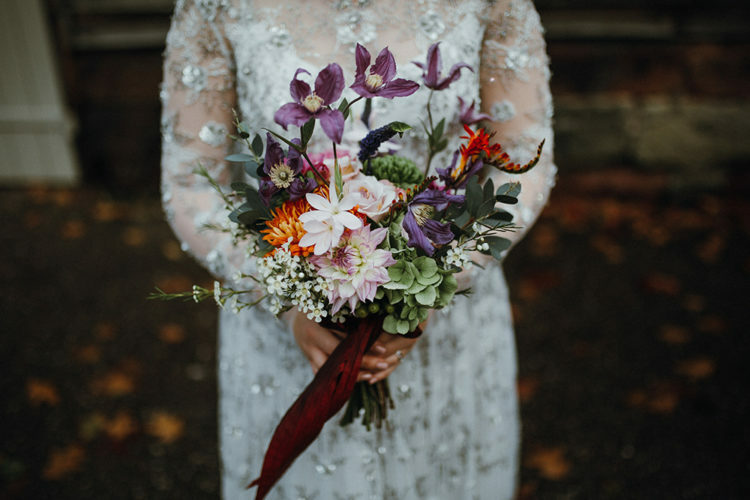 – for a knockout set of nuptials. 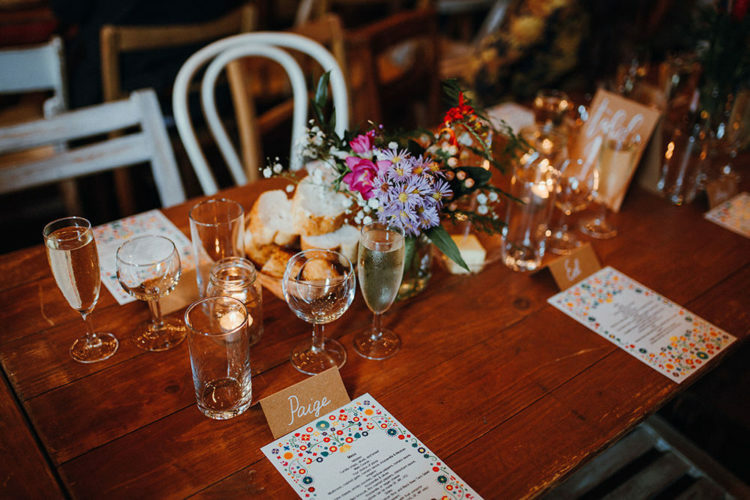 The wedding reception tables were decorated with bright blooms, colorful menus and neutral glasses. 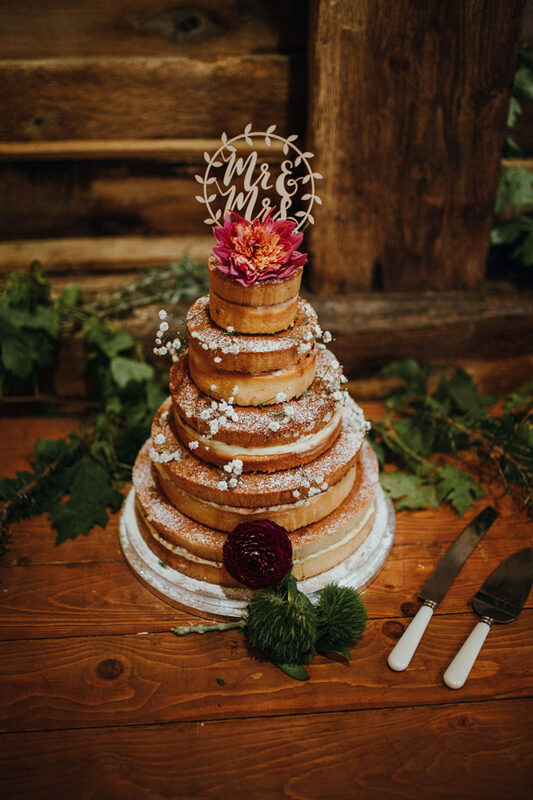 The wedding cake was naked, with baby’s breath, burgundy blooms and a cute topper. 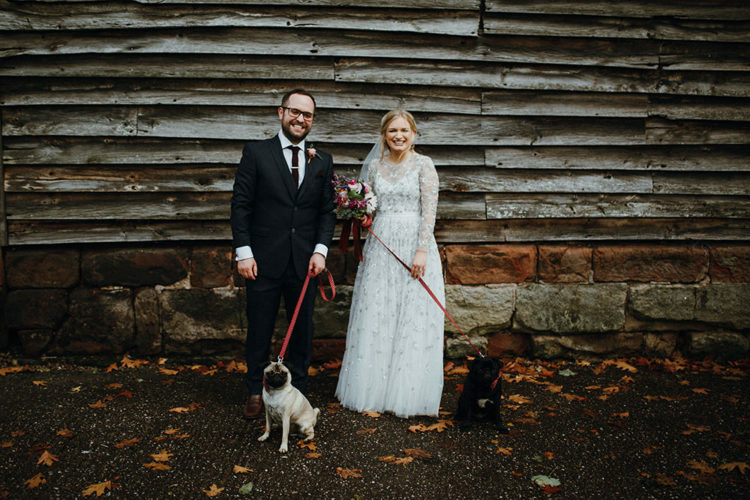 The dogs of the couple took an active part in the wedding. 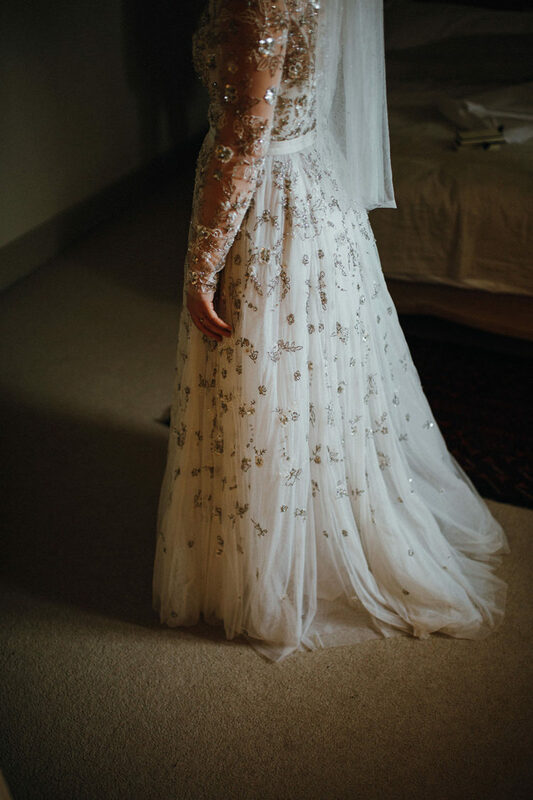 The bride was wearing a fully embellished A-line wedding dress with an illusion neckline, long sleeves and a floral headpiece with a veil. 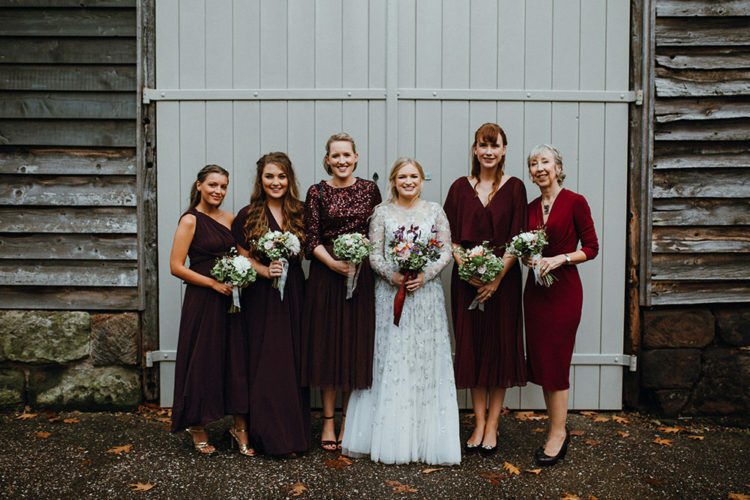 The bridesmaids were wearing mismatching burgundy and fuchsia gowns. The groom was wearing a black suit with a burgundy tie. 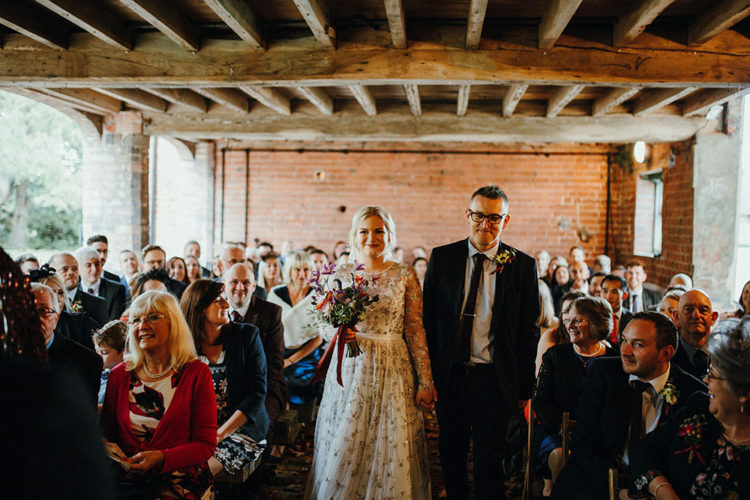 Take a look at the gorgeous pics of this cool and fun wedding!